Seven players have been nominated for the EA SPORTS Player of the Month award for November, and you can help to decide the winner. 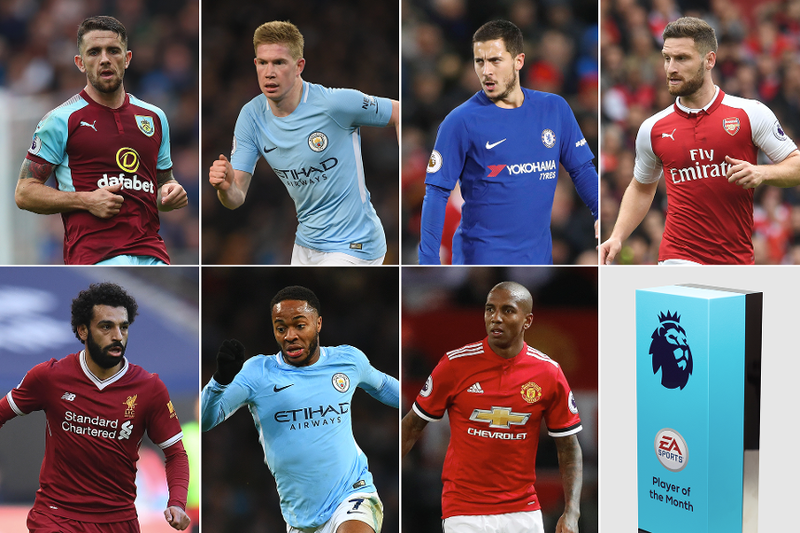 Robbie Brady (Burnley), Kevin De Bruyne (Manchester City), Eden Hazard (Chelsea), Shkodran Mustafi (Arsenal), Mohamed Salah (Liverpool), Raheem Sterling (Manchester City) and Ashley Young (Manchester United) are the players to have been selected. You can cast your vote for one on the EA SPORTS voting page. You have until 23:59 GMT on Monday 11 December to vote and the winner will be announced on 15 December.